A perfect gift idea for Easter, college finals, military graduation, birthday gifts for kids, teens and snack food lovers. Buy now for the guys and girls in your life. Choose gift at checkout to include a personal message. Tell someone That You Care About Them Now. Makes a great College Survival Kit. 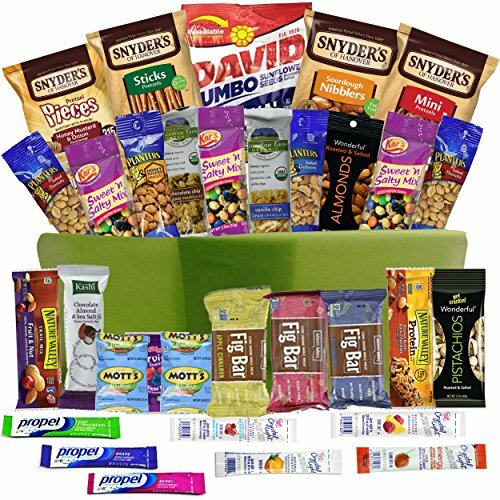 Makes quick, easy and convenient healthy snack boxes essentials for road trips, work snacks, movie watching, truck driver gifts or game night. Save time and money by not having to stop at convenience stores along the way. One Click shopping. Snack bin filled with great school lunch box snack ideas. Have a surprise box delivered!